UFO phenomena entered American consciousness at the beginning of the Cold War, when reports from astonished witnesses of encounters with unknown aerial objects captured the attention of the United States military and the imagination of the press and the public. But when UFOs appeared not to be hostile, and when some scientists pronounced the sightings to be of natural meteorological phenomena misidentified due to "Cold War jitters," military interest declined sharply and, with it, further overt scientific interest. Yet sighting reports didn't stop and UFOs entered the public imagination as a cultural myth of the twentieth century. Brenda Denzler's comprehensive, clearly written, and compelling narrative provides the first sustained overview and valuation of the UFO/alien abduction movement as a social phenomenon positioned between scientific and religious perspectives. Demonstrating the unique place ufology occupies in the twentieth-century nexus between science and religion, Denzler surveys the sociological contours of its community, assesses its persistent attempt to achieve scientific legitimacy, and concludes with an examination of the movement's metaphysical or spiritual outlook. Her book is a substantial contribution to our understanding of American popular culture and the boundaries of American religion and to the debate about the nature of science and religion. 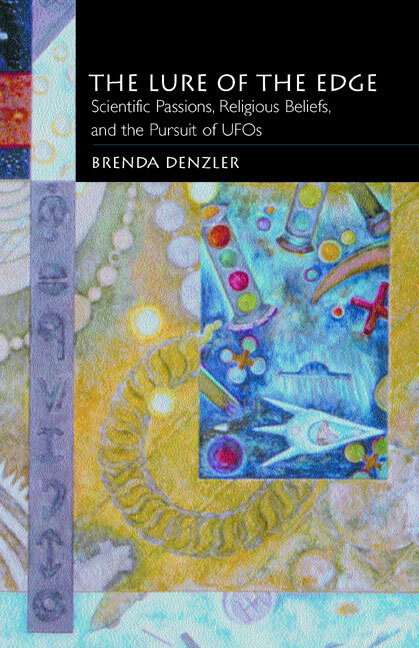 Denzler presents a thorough and fascinating history of the UFO/abduction movement and traces the tensions between those who are deeply ambivalent about abduction narratives that seemingly erode their quest for scientific credibility, and the growing cultural power of those who claim to have been abducted. She locates the phenomenon within the context of American religious history and, using data gathered in surveys, sheds new light on the social profile of these UFO communities. The Lure of the Edge succeeds brilliantly in repositioning a cultural phenomenon considered by many to be bizarre and marginal into a central debate about the nature of science, technology, and the production of a modern myth. Brenda Denzler received her Ph.D. in Religious Studies from Duke University and currently works in North Carolina as a writer and editor. 3. Ufology: On the Cutting Edge or the Fringe of Science?